There won’t be any billboard campaigns, bookstore displays, mainstream media interviews or big name reviews for your average indie book launch, we indies haven’t got the clout or the funds for that sort of malarky. But what we have got (in droves) are lively imaginations and a deeply personal investment in our ‘product’. 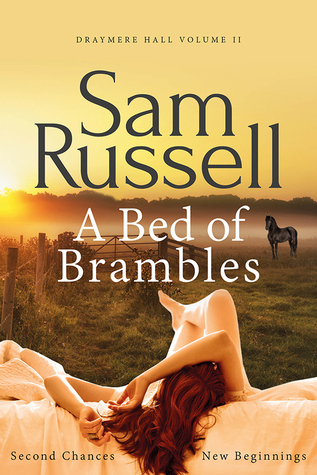 It’s three weeks today since A Bed of Brambles published in paperback and ebook. AVAILABLE AT AMAZON, IBOOKS, NOOK, KOBO AND MY LOCAL BOOKSTORE. (If my book is going to sell, I do need people to know that) so I thought I’d share my pre-launch preparations with you here. You know all that time you spent blogging and tweeting, building up a following and an email list? Well, now is the time to make good use of those platforms – AND your imagination. As an indie, you’ve got the personal touch, so think hard about your options. Give updates, mention the book and the launch date but don’t be overdo it to the point of turning people off. Interaction is the key word here. Consider your (potential) readers and other interests you might have in common with them. Share topical stuff that links to your story, and pass on posts/tweets/blogs of others that catch your eye (you’re going to need these lovely people to return the favour and extend the reach of your own posts). Is this book part of a series, or have you written other books of similar genre? Crank up the buzz and redouble your marketing efforts on the other book(s). 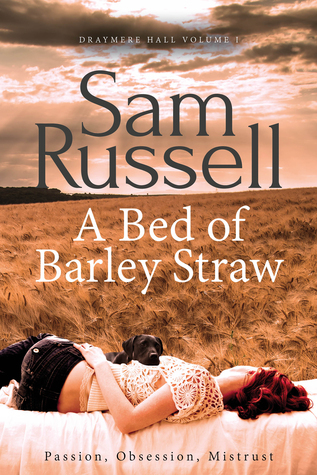 I ran a Kindle giveaway on A Bed of Barley Straw, sought fresh reviews and signed up to Bublish so I could post excerpts from both books to social media (see my earlier post: Are you using Bublish yet?) Sales of the first book went up and I hope those readers will be itching to buy the sequel! Make sure you haven’t enabled any sales channels when you approve the final proof of your book, and CreateSpace will give you the option to order copies. What better place for my new book signing than down at the local, and how lucky are we to have such a gem on our doorstep? ‘The Local’ – a pub where locals meet for a catch-up and pint, a g&t and gossip, or a dinner of hearty pub grub (next to the roaring log burner). The heart of the village! All cliches because they’re true, be it the Fox and Hounds in Draymere, or the pub down the road from you. So I’m very grateful that our lovely hosts are letting little-old-me use their warm and welcoming bar for my book chat. Grateful, but a tiny bit panicked. It doesn’t come natural, this speaking in pub(lic) lark, I’d far rather write it down. I’m talking to myself in the mirror again (the first sign of author madness?) and practising my signature, which should be easy, but I managed to sign Sam Reading the other day (it started so well). My special authograph pen (gifted by eldest daughter) is primed and ready to go. I’ve managed to find passages in the book which I can read out loud and (a) don’t give the plot away, (b) aren’t too steamy. But my mind is inventing first night fears – what if no one turns up? What if someone turns up? I pity the poor sods who wander down for a quiet pint and find themselves thrust into romance. Or maybe they’ll enjoy it. As will I, when I get there. I always do. Gentle reminder to self; don’t overdo the Dutch courage. That’s all folks! Got there. Did it. Published!